Below you will find the Fastest Times listed for the UTT 8 “Revenge”. 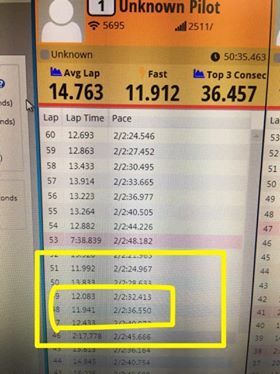 All times have been verified by MultiGP staff. MultiGP holds the final word on time validation. Participants are encouraged to provide DVR footage, and timing system screenshot, especially if breaking into the Top 25 times. Click here to submit a time.